Private residential consisting of 5 luxury villas located in Sierra Cortina (Finestrat), an unbeatable location between the sea and the mountains and surrounded by pine forest with magnificent views of the Mediterranean coast. Villas of 500m² with 760m² plot consists of 5 bedrooms and 6 bathrooms, spacious living room, modern kitchen and large terrace. It also has storage room, garage of 140m², private pool of 63m² and jacuzzi. -Club Private with gym, fitness room, four paddle courts, a tennis court and cafeteria. -Golf Pitch and Putt with 18 holes. -Safety with 15 video surveillance cameras The villas built with the latest technologies and the highest quality standards in the industry. 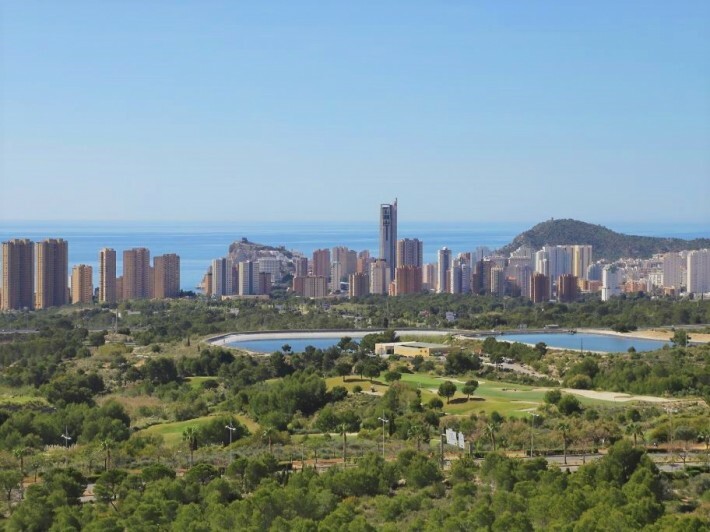 It is very close to the beaches of Benidorm, Terra Mítica, international schools, shopping centers with movie theaters, restaurants, and establishments of all kinds. 4km from the beach, 2.5km from Terra Mítica, 3km from the beautiful Golf Course (Villaitana Golf), 52km from Alicante Airport.